Those rascally goombas, koopas and shy guys; they're always trying to snare poor Mario. Typically, though, they do so in a pretty straightforward manner--you know, by meandering slowly toward Nintendo's platforming star. 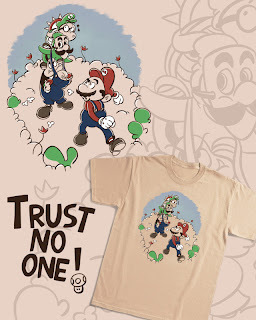 That's certainly not the case in daviisilva's latest t-shirt design (below), which is up for a vote on threadless.com. 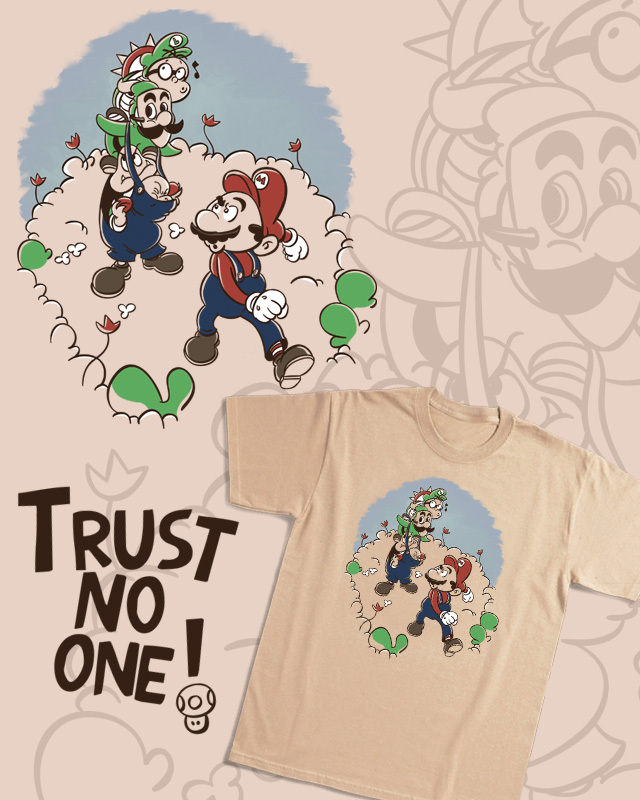 If you can see yourself buying a t-shirt bearing daviisilva's design, vote on it here within the next 24 hours. Dang...I missed the voting window on this one. I didn't exactly jump right on it after you posted it. I was waiting till I had time to read the post about and play the Gatsby game. Guess I didn't get around to it fast enough! Still, if I'd posted the damn thing earlier in the week as I had planned, you would have been able to vote on it. Oh, well, hopefully it got so many votes it won't matter.